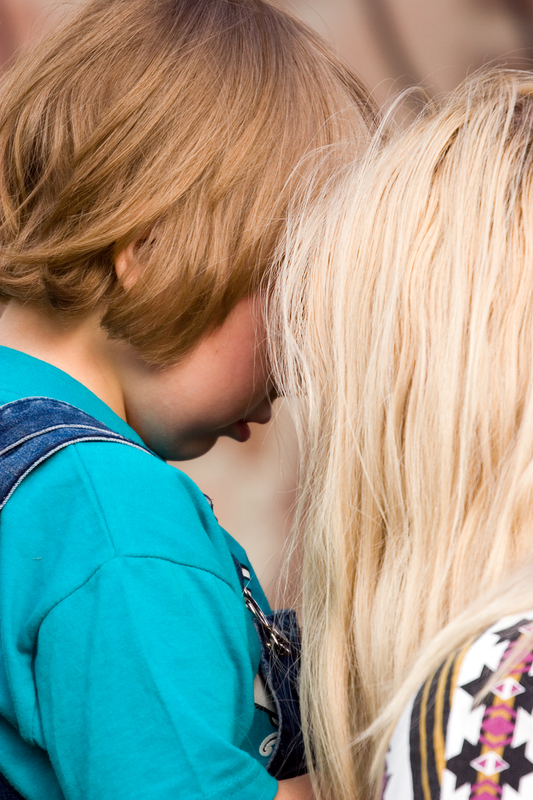 What do we tell our children when terrible things happen? Just last week, a teenage girl in our church was brutally murdered, the news broadcasting repeatedly the crime details. The day after her death, we gathered for Sunday worship, the sanctuary crowded with family, friends and church members seeking solace and support. In December, the nation grieved alongside the parents of 20 children and eight adults killed in a mass shooting in Connecticut. It may have been possible to avoid the news reports, but everyone, everywhere seemed to be talking about it, seeking to process their feelings and come together to express their shock and grief. Last March 2, a series of devastating tornadoes hit our community. Several church members experienced trauma and damage, and one family lost their home entirely. A school attended by several children in our church was completely destroyed. My son just turned six, so we shield him from the details as much as possible. We do not turn on the television, and avoid looking at news when he is around. As he gets older, it gets much more difficult. He can read a Facebook status over my shoulder, or make out the headline on a newspaper as we walk by in the store. At school, other children may know and share all kinds of information. When the news hits close to home, sheltering is impossible—the teenager he adores has lost her home to the tornado, his friend from church no longer has a school, the family he sits with in church is forever missing a member. We don’t want him to hear it from someone else, so my husband and I sit down with him together and try to deliver the news in a way that is simple and does not amplify fear. Someone hurt Tara, and she died. The man who did it is now in jail, and we are all very sad. There was a man who went to a school and tried to hurt a bunch of kids. He did hurt some of them, and some of them died. He died too. This was far away from us, all the way in Connecticut. Your school is safe, and your teacher and your principal will make sure that you have nothing to worry about. You know how we went to the basement during the tornado siren? Well, a bad tornado came through. Haley and her family lost their house, and your friends in Henryville lost their school. But they are all safe, and through the church, we are going to help them get a new house to live in. We give him the opportunity to ask any questions, but usually he doesn’t. Sometimes questions will arise later. Fears usually arise later too—especially when bedtime comes. I understand. That’s the same time my fears catch up with me. I try to teach my child the same habits I use to calm my own fears and assuage my own hurting heart in when terrible things happen. First, we pray. I usually do the talking, and I try to pray out the feelings. Dear God, we pray for this terrible thing that has happened. Please be with all those people (names) who are so sad and hurting. We know that you can give peace and help them start to feel better. Teach us how we can be loving, and help them know that we care. Help us too—when we feel scared or worried or sad. Remind us that you are watching over us, and you will not let us be alone. Amen. Second, we find a way to show love. In the wake of tragedy, whether caused by human evil, accident or natural disaster, it helps to find a way to respond. After the tornadoes, the church was in full response mode, and my son helped with a youth spaghetti supper to raise money for recovery. Following Newtown, we talked about how important it is to be kind to one another, and practiced being kind to other children at school. After Tara’s death, we sat down together and made a card for the family. I explain to him that we can’t undo the terrible things that happen in this world, but we can help people who are sad and hurting to know that we care. I tell myself that perhaps putting forth some loving energy and kindness in the world might restore the balance between hope and destruction, good and evil, life and death. Terrible things will continue in this world as my child grows older. Just like I teach him how to tie his shoes, share with friends, or write his name, I am responsible for teaching him how to respond with faith in the face of tragedy. I want to protect him from the cruelty of life, but that would not serve him well. I don’t always know what to do or say, and I can’t prepare him for the pain and suffering life may bring to his world in the future. The best I can offer is to show him how to respond with faith and love. I teach him to pray, I teach him to practice kindness, and I trust that, by the grace of God, that will be enough.